Residents of the Sunflower State are thriving at the likelihood of legal Kansas sports betting popping up in the state. Legislators have started to review the aspects of bringing the industry home and citizens are more excited than ever to place money down on their favorite sports teams. The spread of legal sports betting has prompted many states to start looking at their own state codes and make the necessary changes required to bring more tax money in while also keeping their citizens happy. There have always been options when it comes to sports betting in Kansas but more are about to open up. With these ever-changing laws both on the federal and state level, it is hard to keep everything together and correct when researching online. We have compiled the list of laws as well as locations of where you can legally lay your money down so next time you bet on a Jayhawk victory, you will not be looking over your shoulder. Our goal is to provide you with the entirety of the gambling laws within the state and make sure you know your rights when it comes to this booming industry. Is Land-Based Sports Betting Legal In Kansas? There are actually no locations to engage in legal land-based sports betting in Kansas. This is because of a federal law known as PASPA that originally made it illegal to bet on sports in the country but was overturned by the Supreme Court in 2018. With the current setting of the gambling industry, it is likely Kansas will move forward with its own legalization plan and implement sportsbooks throughout their handfuls of casinos. With the infrastructure in place, these areas would be the first places to have legal land-based sports betting due to their oversight committee already being in place and ability to draw tourists from both in and out of state. Is Online Sports Betting Legal In Kansas? There is no mention of online gambling within Kansas’s codebook and this is also due to PASPA formerly controlling the laws. Now, Kansas residents are completely able to legally bet on sports online provided they use a licensed offshore operator that is regulated by their home country. With no laws against online sports betting, you can be sure that legally betting on the Chiefs is a sure-thing in more than one way. Just be sure not to use a platform that is located in the state as placing wagers with an unlicensed operator is against state laws and you would not want to see yourself get into trouble when you can just as easily use a well-respected offshore account. Once you decide to get started with legal Kansas sports betting, you’ll need to sign up at a reputable, reliable online sportsbook. While there are dozens of such services to choose from, the most highly regarded sportsbooks in the industry are Bovada, SportsBetting, BetOnline, and 5Dimes. Each is reliable and experienced, and they’ve all proven that they’re here to stay. The last thing you want to do is set up an account and invest in some no-name, fly-by-night sportsbook that may or may not even be in business next month. Remember, these places survive based solely on their customer service reputations, and there’s no legal recourse if and when some two-bit outfit decides to skip town with your money. As long as you stick with the industry leaders, you won’t ever have that problem. If you just want to gamble, there are a few casinos scattered across the state. However, if you want to know where to go for nearby legal sports betting, that’s pretty much the decision of hopping on a plane to Nevada, New Mexico, or Mississippi. Of course, if you’re not trying to make an expensive vacation out of a few Sunday sports bets, you can always just pull out your smartphone and bet from there. That’s the beauty of the legal online sportsbook – you can bet anywhere you’ve got an Internet connection. Until recently, Kansas had generated all its gaming revenue from the state lottery, with its only competition being the few tribal casinos in operation since 1996. However, in 2006, the state legislature allowed the government to open and operate four “commercial” casinos. Since these casinos are state-owned, the commercial designation is a bit of a misnomer, but this can be used to differentiate these casinos from the handful of tribal casinos that exist in the northeastern corner of the state. In the states that have legalized sports betting, it is typically the tribal and/or commercial casinos that are authorized to accept sports wagers. Currently, Kansas law does not address sports betting directly, nor does it mention online betting in general. That said, sports betting is so prevalent and so openly a part of the mainstream that legislators did file a bill that would have allowed for a legal and regulated industry within the state. Though it died it committee, HB 2793 planned on moving forward and joining the nationwide trend of legalization. Of course, the devil is in the details, and the lack of concrete laws has created easy workarounds for anyone interested in legal Kansas sports betting. There are no professional sports teams of note in Kansas (minor league hockey being the exception that proves the rule), but the state is home to two popular NCAA teams. The Kansas Jayhawks are a perennial basketball powerhouse, and the Kansas State Wildcats football program is always in the mix to play spoiler among the AP’s top-ranked teams. That said, for most of the year, your legal Kansas sports betting will probably revolve around teams from surrounding states. Pari-mutuel horse racing betting has been legal in Kansas since 1986, and nationwide simulcast betting was introduced in 1992. Racetrack gaming machines have been legal since 2007. However, due to a combination of suffocating tax regulations and general waning popularity, there is no longer any actual horse racing in the state, and the last pari-mutuel event was held in 2008. Over the ensuing years, legislation to alleviate the tax burden on these “Racinos” has been periodically introduced, but there has been no progress so far in rebuilding Kansas’ horse racing industry. Kansas has long been considered a “gray” state when it comes to Daily Fantasy Sports. This is primarily due to the Kansas Gaming and Racing Commission’s opinion that DFS constitutes illegal gambling if the contests have buy-ins and prizes. Since DFS obviously has both of those things in spades, the commission’s attorneys claim that such entertainment is against the law in Kansas. However, the state’s gambling commission lacks any legal authority to prosecute anyone for “illegal gambling” on DFS. Because of this toothless law and the state’s begrudging recognition that DFS isn’t going anywhere, both DraftKings and FanDuel – the two largest DFS operators in the country – continue to do business in the state as they lobby Kansas’ congress to permanently protect the industry. Can I Bet Real Money On Sports In Kansas? Yes, real money is the preferred method for funding your legal Kansas sports betting. Online sportsbooks take a variety of deposit types, including credit cards, debit cards, Visa gift cards, Bitcoin, checks, money orders, bank transfers, and various peer-to-peer solutions. Please note, however, that only Bovada accepts American Express and that none of the big sportsbooks will take PayPal from US-based customers. When choosing a deposit (or withdrawal) method, it’s also important to be aware that online transfers (like those used for Bitcoin, peer-to-peer payments, and occasional card chargebacks) are always faster than their old-school paper counterparts. If you’re using the former, expect a few hours’ turnaround. If you choose the latter, give yourself a week or two of lead time. Is Online Sports Betting Safe In Kansas? Not only is online sports betting safe in Kansas, it’s actually one of the safest possible ways to spend money anywhere on the Internet. That’s because all the best online sportsbooks use state-of-the-art data protection and encryption methods. You can enhance that inherent security, too. All you need to do is fund your legal Kansas sports betting via Bitcoin, which has its own in-built protections that make it extremely difficult to hack or steal your funds. Will Sports Betting In Kansas Ever Be Legal? If things continue trending the way they’ve been going these last few years, sports betting in Kansas will likely be legal very soon. This all comes from PASPA being overturned as its decision of being constitutional or not faced the Supreme Court in early 2018. Hopefully, the other federal anti-gambling laws would follow suit, but the elimination of PASPA made it possible for Kansas to make and pass its own legal sports betting bills at the state level. There’s a lot of money in it for everyone, so it’s definitely going to happen at some point. 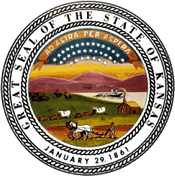 Will I Get Arrested For Sports Betting In Kansas? In theory, you probably could. It’s Kansas, Toto. That said, there is absolutely zero precedent for the Kansas government arresting, charging, or prosecuting any private citizen for betting on sports in the state. You’re more likely to win the Kansas lottery three weeks in a row than you are to be pinched for putting a few bucks on the Royals. What Is the Sports Betting Age In Kansas? Since neither sports betting nor Internet-based betting is explicitly outlined in Kansas state law, there is technically no legal age for online sports betting in the state. Nevertheless, in situations where this is the case, it’s recognized as a best practice to go with the legal age minimums that the state employs for entry into its traditional gambling/casino facilities. Thus, the legal Kansas sports betting age is 21. Yes, you can sign up at Bovada et al. whenever you turn 18, but it’s not worth the risk unless your state explicitly lets 18-year-olds gamble online. Kansas doesn’t, so don’t. Are There Mobile Sports Betting Apps Available In Kansas? There are no mobile sports betting apps available for legal Kansas sports betting, as Apple and Google will not allow them on their respective digital marketplaces. If you find any “legal sportsbook” app on Google Play or the App Store, do not download it. There are lots of scams out there, and there’s no need to risk your bankroll on an app when you’ve got lots of better bets to make. If you really insist on a mobile experience, though, you can still get one. That’s possible because Bovada, SportsBetting, BetOnline, and 5Dimes all offer mobile versions of their desktop sites. Just visit your sportsbook(s) of choice on your smartphone or tablet, save the home page to your home screen, and then launch that shortcut just as you would a native app. The interface and animations will be app-like, and these so-called “web apps” make perfectly respectable stopgaps between now and the time when official sportsbook apps are finally allowed on iPhone and Android. Where Is The Best Place To Bet On Sports In Kansas? Much of that depends on you and your personal preferences, but if you’re only going to join one sportsbook for your legal Kansas sports betting, you should pick Bovada. It’s the gold standard, it has an unimpeachable customer service record, and they’ve never bailed on a single bet. Plus, as a trendsetter, Bovada is always at the top of the list when it comes to industry updates and breaking news stories, so you’ll never feel left out when you’re all in. Should I Use A Local Bookie In Kansas? Under no circumstances should you use a local bookie in Kansas. Remember, while it’s 100% legal for you to place sports bets with whomever you please, the same isn’t true for the folks on the receiving end. Bookies take bets, and that is a big no-no under both Kansas state and federal law. Doing business with such bookies could lead to a bunch of legal headaches for you, as it’s very possible that you’d be surveilled and caught up in whatever dragnet the authorities lay out. Do Any Casinos In Kansas Have Sports Betting? Save horse and greyhound racing simulcasts, there is no sports betting at any casino in Kansas. Since PASPA was stricken from the books, however, Kansas will likely remedy this costly mistake once regulations pass and institute the practice at all its casinos throughout the state. Until then, you’re going to have to stick to online sportsbooks for legal Kansas sports betting. Can I Bet On Sports With My Friends In Kansas? No. That is to say, of course you can. While the Kansas Constitution makes no mention of “social” or “private” gaming, some scholars and lawyers interpret the document to outright ban everything it doesn’t explicitly allow. This seems like an impossible legal standard to meet, but if you want to err on the side of extreme caution, don’t be a part of any gambling in any private group. If on the other hand you’re comfortable with not being a serf, then by all means, carry on, my wayward son. Gamble with your friends on whatever you want. Who’s going to know? Certainly not the great state of Kansas. And that’s exactly how you’ve got to keep it if you want to bet on sports with your friends. Don’t advertise the fact on social media, either. Government or no government, you don’t want all those Facebook hangers-on to know how much cash you just won off those two chumps you grew up with.